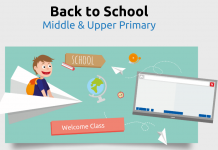 Home Mathematics Lessons Adding Fractions Lesson – The Fraction Calculator That Will Help Your Children! 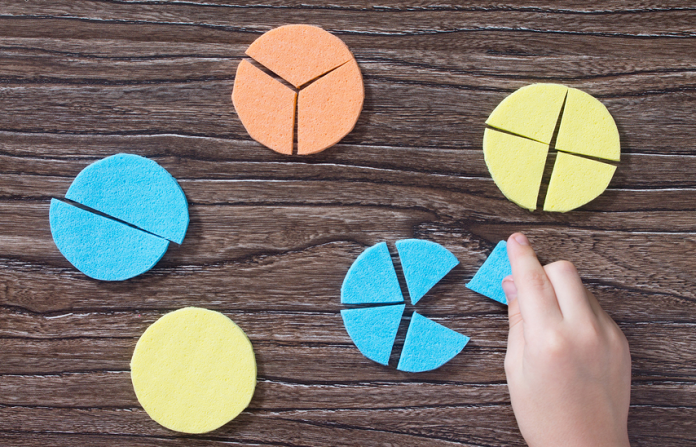 In this lesson, students will learn how to add fractions. 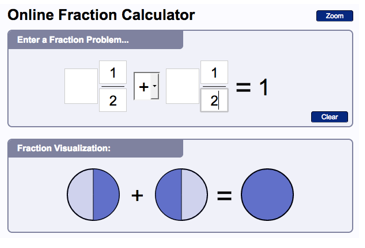 Students will visualize the process of adding fractions through the use of an online fraction calculator. ACMNA126 – Solve problems involving addition and subtraction of fractions with the same or related denominators. Engage: Tell students today we are learning about adding fractions through the use of an online fraction calculator. Access: Enter the values (1 + 1) in the fraction calculator. 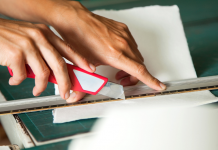 What are fractions? Fractions are used when we need to count a part of something. For example, we know this is a whole pizza (point at the fraction visualization), but what if we wanted to add the parts of a pizza? To figure this out we use fractions. Step 1: Make sure the bottom numbers (the denominators) are the same. Step 2: Add the top numbers (the numerators), put the answer over the denominator. Enter the values (1/8 + 1/8) directly into the corresponding locations of the fraction calculator. So one slice of pizza (1/8) plus another (1/8) equals two slices of pizza (2/8). That fraction could be reduced to 1/4, and mentally that makes sense because those two slices represent one quarter of the whole. Give another example. This time tell the students to assume that this is a pie (point at the fraction visualization). Enter the values (1/2 + 1/2) into the fraction calculator. So one-half of a pie (1/2) plus another (1/2) equals one whole pie (2/2). That fraction could be reduced to 1, and mentally that makes sense because those two halves represent one whole pie. Step 1: Re-write each equivalent fraction using the new denominator. Step 2 : Now you can add the numerators, and keep the denominator of the equivalent fractions. Step 3 : Re-write your answer as a simplified or reduced fraction, if needed. 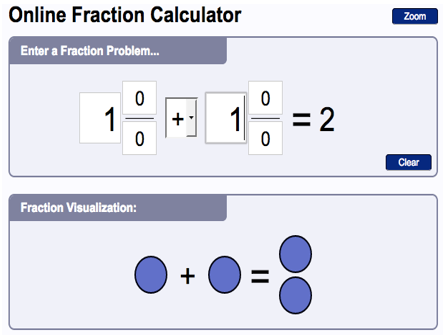 Enter the values (1/4 + 1/2) into the fraction calculator. Find the least common denominator of 4 and 2. In the example given, the common denominator is 4. So we could turn the 1/2 into the equivalent fraction 2/4. 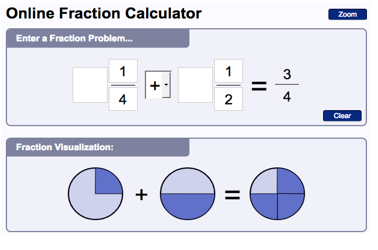 Enter the values (1/4 + 2/4) in the fraction calculator. Now we are adding 1/4 and 2/4 which equals 3/4. 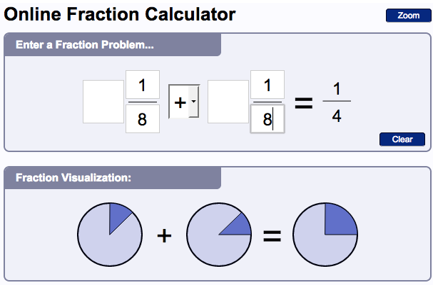 Get certain students to try the fraction calculator and let them ask questions about it. 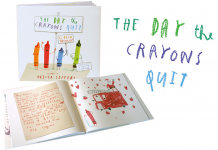 Distribute fraction addition worksheets and let the students answer them. Use the fraction calculator to check calculations of adding fractions.